not usually the type of anime i watch but ever since the first episode i have been hooked and wanting more. after every episode im left smiling, the characters are funny and easy to watch and also explain the sport they play very well i love the art. Would recommend anyone to give it a watch and see what they think. If your looking for a nice light-hearted anime with cute girls, hover boots and some racing this is the right anime for you 6 episodes in a enjoying it thoroughly. Seems to be one of those anime's that's calming while still being entertaining with some tense moments recommend giving it a go. 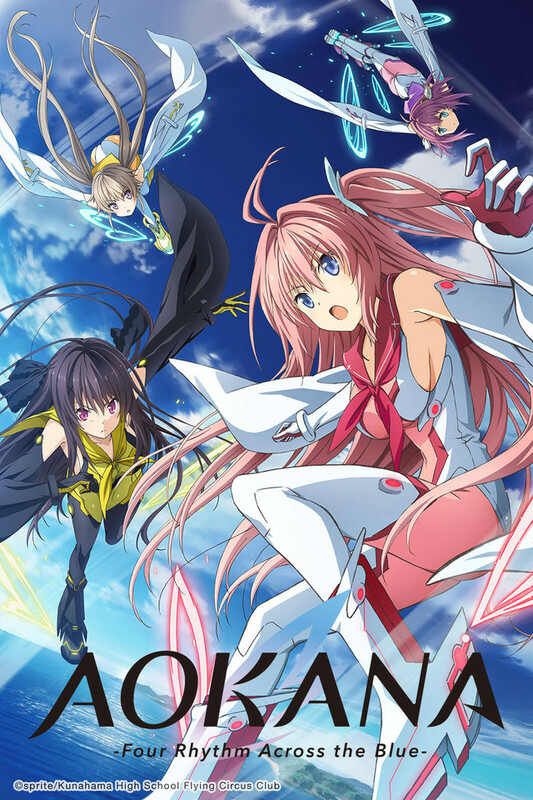 I thought this was the best anime that I have watched, it has a good story keeping you on the edge of your seat the whole time, it had good character development and good music, everyone and I would love there to be a second series to further develop characters and give us exciting moves and battles we've all love and miss. Enjoyable series, but not perfect. This anime presented flying as a sport and that was interesting enough to warrant watching this series, then on top of that feature it had interesting moments between characters. The actual flying sport itself was a bit iffy, but towards the end it got very interesting. Overall i think this anime deserves 8/10, it was a good anime but not really one of the best. My feeling is that this is trying to be a sports anime. But it fails miserably as the characters begin to resemble each other both in the way they are drawn and the way they behave. The initial concept is interesting - gravishoes, or anti-gravity shoes. And the way the actual sport is a mixture of gymnastics, water polo, dogfighting in terms of tactics does get you in. But the arc of action is very predictable. As mentioned the characters are shallow, so there is really no reason to get involved in their struggle, and just becomes another harem anime.